When it comes to action stars Sylvester Stallone just might be my favorite and if not hands down top 5. Stallone of course made a name for himself in 1976 with Rocky, which he also wrote and Sly went from struggling actor to Hollywood star, but it wasn’t until 1982 with the release of First Blood that Sly had his first big hit film not part of the Rocky series and now he in his way to becoming an action star and after the major success of Rambo: First Blood Part II, Sly was now officially an action star. Through the 80s Stallone had a string of hits as well as a few failures, but around the mid 90s, Sly started to fade and it happens to the best of them, but Stallone had two things going for him; Rocky and Rambo, which are two of the most iconic film characters ever created. In 2006 Stallone made Rocky Balboa and at 60-years old some people made jokes, but after its release nobody was laughing anymore and if anyone had any doubts still, Stallone erased them with Rambo in 2008. 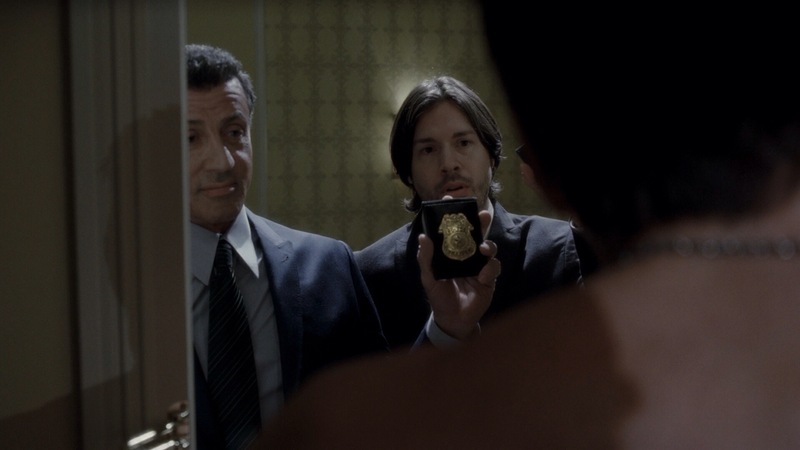 Bullet to the Head may not be top 5 Stallone films, but its still in my opinion a really fun film and outside of Rocky and Rambo, Stallone’s character James Bonomo is one of my favorite characters he’s played. When it comes to action films I’m a big fan of the genre and along with horror its my favorite. However since the Michael Bay era started the action film started to hit a steady decline and since 2000 in my opinion its gotten worse with really only a few that I liked with the good portion I disliked or in the very least thought it was ok, but nothing I really care to see again. 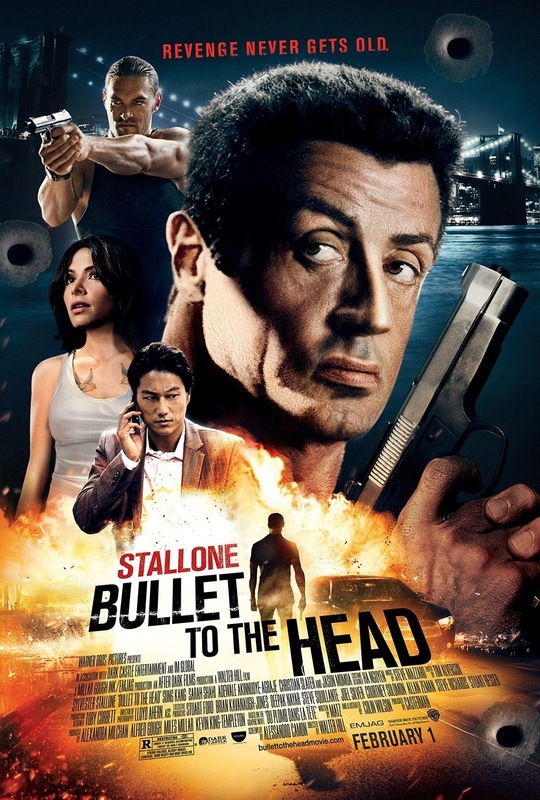 Bullet to the Head is one of the few modern action films I actually liked and a lot of reviews I’ve read say its something out of the 80s or early 90s and I’d actually agree with that though the film has far more of a 90s feel with some even comparing it to Showdown in Little Tokyo, which is also something I agree with. Bullet to the Head does have a bit of that vintage feel. Produced on a 55-million dollar budget, which is fairly low for an action film, but yet only pulled in 9-million dollars, which is very unfortunate as the film deserved a much better fate and hopefully can find an audience on home video. 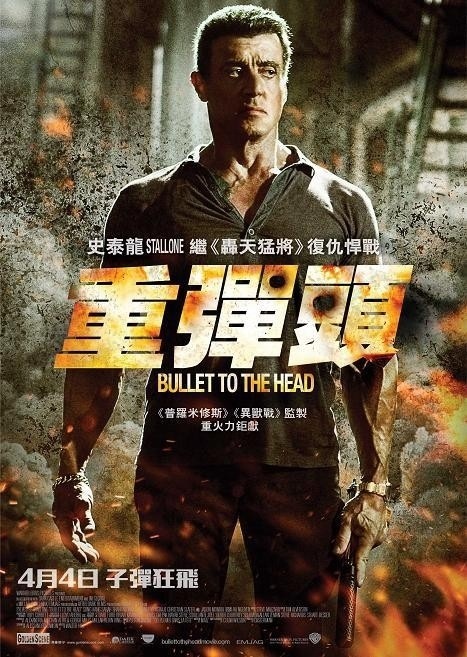 Bullet to the Head won’t go down as one of the great action films, but its a lot of fun and while cliched and a bit predictable it has almost everything I look for in an action film and is far better than the overly stylized action films released. 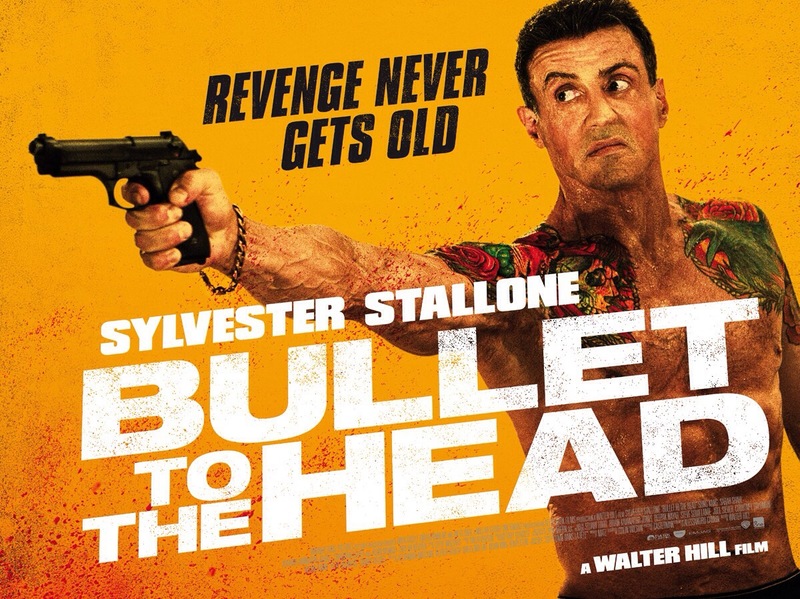 Bullet to the Head is very much in the style of a buddy cop film despite the fact Stallone’s character isn’t a cop. Lethal Weapon is in my opinion a truly great film and one of the most influential action films ever made. However its often the film credited for starting the buddy cop film, but 48 Hours directed by Walter Hill had the same basic formula despite Eddie Murphy not being a cop in the film and in many ways due to that Bullet to the Head mirrors 48 Hours. James Bonomo (Stallone) is a hit man looking to avenge the death of his partner and he reluctantly teams up with a cop Taylor Kwon (Kang). The screenplay by Alessandro Camon is light on plot, but that’s not really a problem in the action genre. The problem however is the setups as everything sort of happens with little depth however Camon does craft a fun film with some fun characters though its the cast that elevates the material. Apparently Walter Hill and Stallone did some uncredited rewrites, which I would tend to believe since Hill is as much a writer as he is director and Stallone has written or co-written a good portion of his films. The script while entertaining is the only real flaw as I stated it is a bit cliched and predictable, but regardless its still entertaining and a lot of fun. Even though Walter Hill is a respected writer and director I feel as if he also doesn’t get the respect he deserves. He has a story credit on Aliens and was a writer on the 1972 Steve McQueen starting and Sam Peckinpah masterpiece The Getaway. Walter Hill made his directorial debut with Hard Times, which starred Charles Bronson, he made the Warriors, which is a classic film and also made 48 Hours, which is another truly great film. Crossroads, which starred Ralph Macchio and not to be confused with the lame Britney Spears film of the same name is another great film in Hill’s career and it doesn’t end with those four films. There comes a point in every filmmakers career where they might hit a decline and as much as I like Walter Hill it did seem as if his best days were behind him. 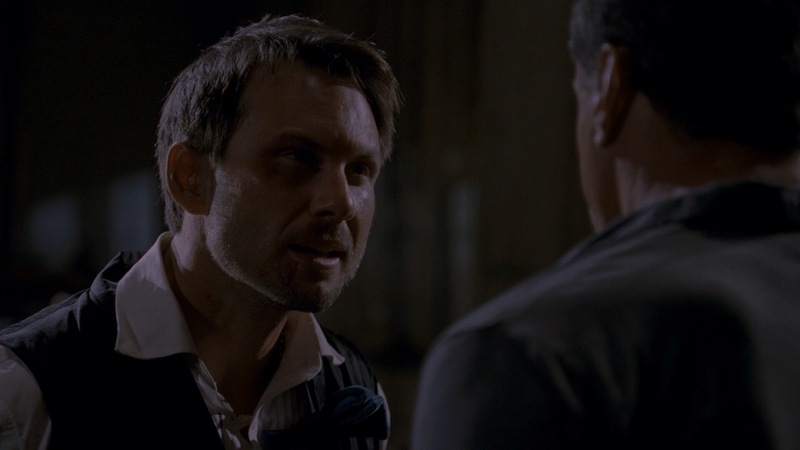 Bullet to the Head is his first film since Undisputed, which came out in 2002 and since he only has a couple of TV credits. Bullet to the Head may not go down as one of Walter Hill’s best films, but its still a really cool film and proves Hill still can direct a really fun and exciting film. 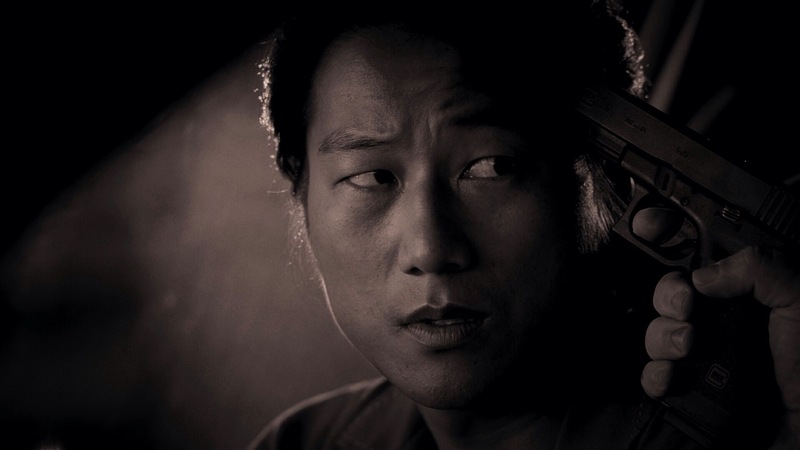 The pacing is generally strong and the film moves at a strong pace. 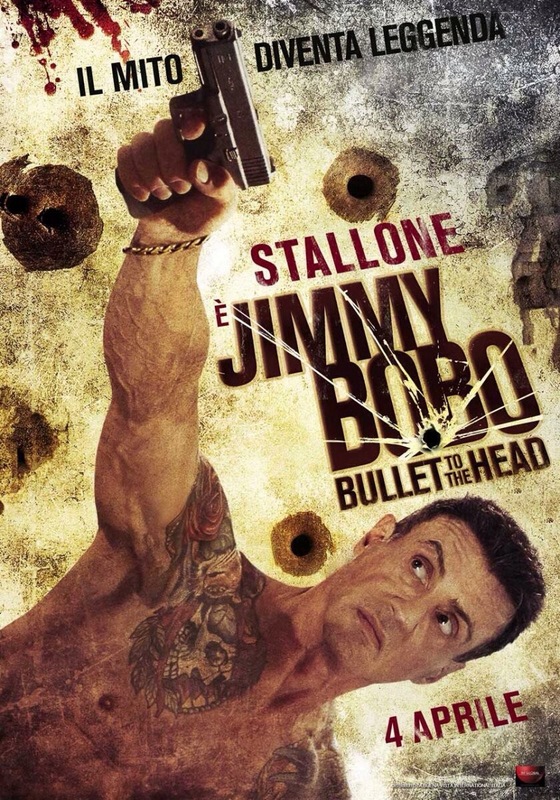 The first 30-minutes is entertaining, but it’s the last hour when Bullet to the Head gets going. Walter crafts some really fun action scenes and the film very much lives up to its title and Hill also does a great job at the comedic moments. Like I mentioned earlier Bullet to the Head has a vintage feel to it and Walter Hill shows he can still make a really fun film. Don’t go in expecting another Warriors or 48 Hours, but fans of Hill should enjoy. The cast is excellent and really as I stated elevates the material. 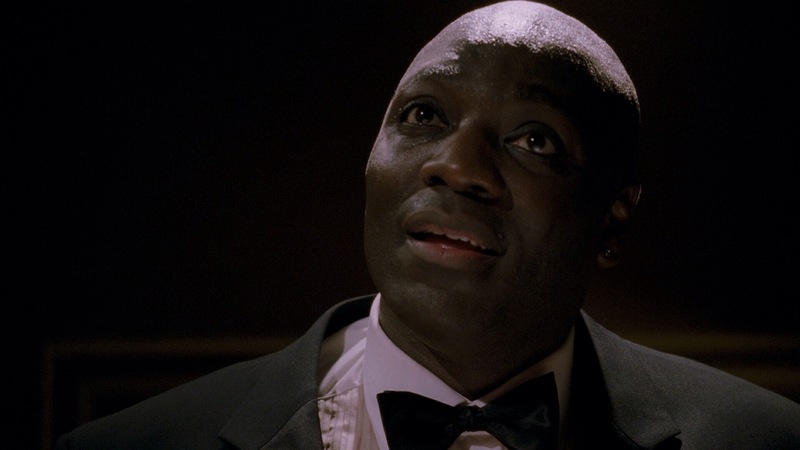 Jason Momoa as Keegan the main villain has a great onscreen presence and it’s also a joy to see Adewale Akinnuoye-Agbaje who is best known for his role on the HBO series Oz, though too bad he isn’t given enough to do he’s a terrific actor. 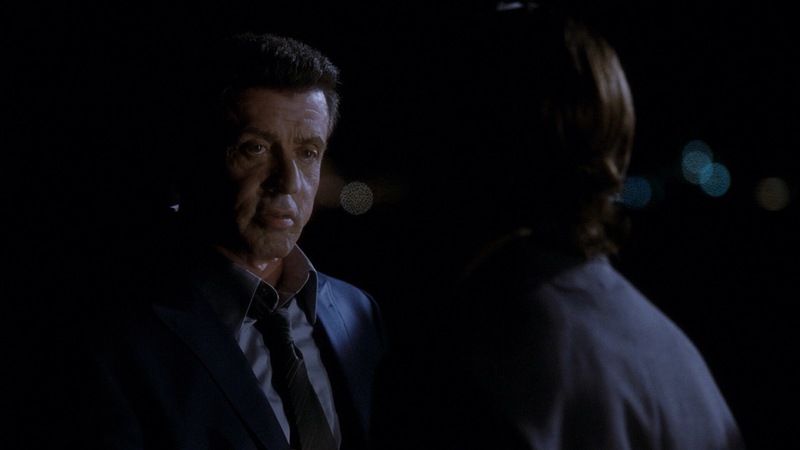 Sylvester Stallone is great as James Bonomo. Like I said outside of Rocky and Rambo, Bonomo is one of my favorite Stallone characters and Sly is hysterical with some really great one liners. 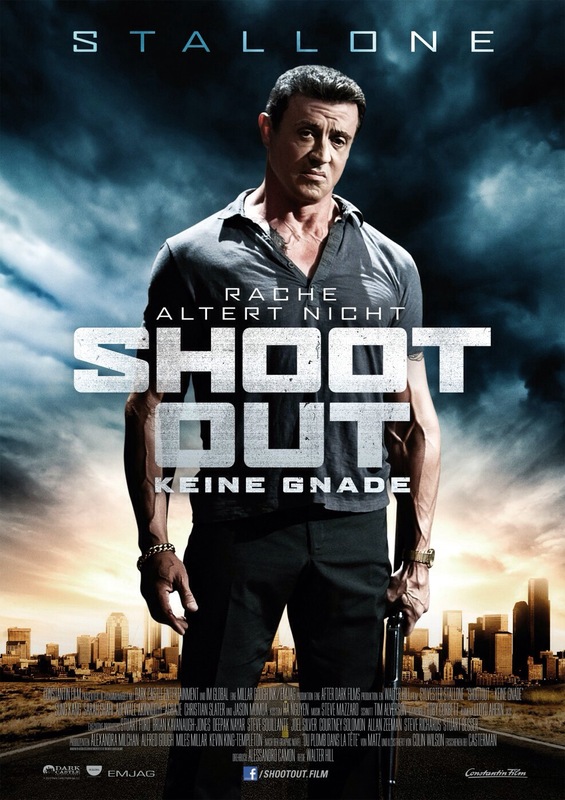 I’m a big fan of Stallone and he did not disappoint. Overall Bullet to the Head while a flawed film is also a lot of fun and it’s too bad the film was such a flop since it truly did deserve a better fate. This isn’t an action classic and both Walter Hill and Sly have done better work, but with that said Bullet to the Head at only 92-minutes has enough fun and action to always keep the pace moving. If you enjoy 90s action prior to the Michael Bay era getting started Bullet to the Head is your kind of film.